Torsional Rate: 0.19 degree/lb in. 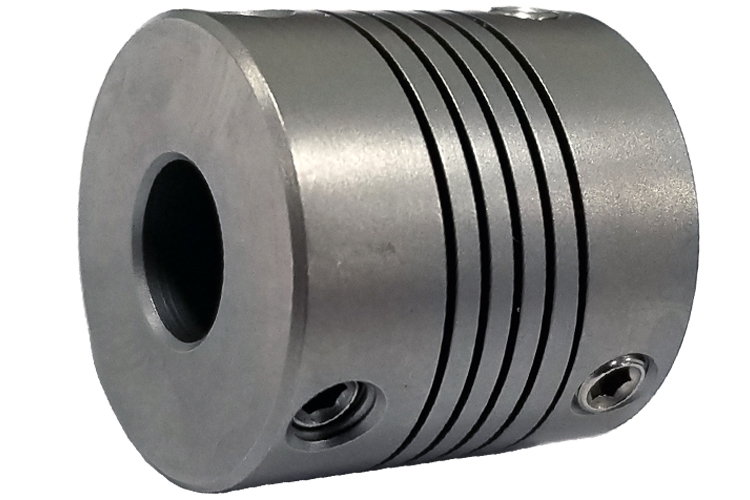 The Helical HR062-4-4 Stainless Steel Flexible Beam Coupling, H Series is one of thousands of quality tooling products available from MRO Tools. Please browse Helical Flexible Stainless Steel Set Screw Couplings, H Series for tools similar to the Helical HR062-4-4 Stainless Steel Flexible Beam Coupling, H Series. Helical HR062-4-4 Stainless Steel Flexible Beam Coupling, H Series description summary: Helical Flexible Couplings, H Series. Outside Diameter: 0.625'' Length: 0.62'' Major Bore Diameter: 0.125'' Minor Bore Diameter: 0.125'' Momentary Dynamic Torque: 14lb/in Angular Misalignment: 5deg Parallel Offset: .010'' Material: 17-4pH Stainless Steel Quantity discounts may be available for the Helical HR062-4-4 Stainless Steel Flexible Beam Coupling, H Series. Please contact MRO Tools for details.